Valentino Rossi’s main title rivals hailed the Italian’s much anticipated return to the MotoGP paddock in Germany today. Less than six weeks after breaking his right tibia in a high-speed crash at his home race in Mugello, Rossi will be back in action this weekend at the Sachsenring. The 31-year-old passed a medical test this afternoon and will be back on board his factory Yamaha YZR-M1 machine just 41 days after the horror crash in Mugello. Rossi was given a rapturous reception this afternoon when he attended the pre-event press conference and Jorge Lorenzo, Casey Stoner and Dani Pedrosa all put their rivalry aside to welcome back the nine-times world champion. 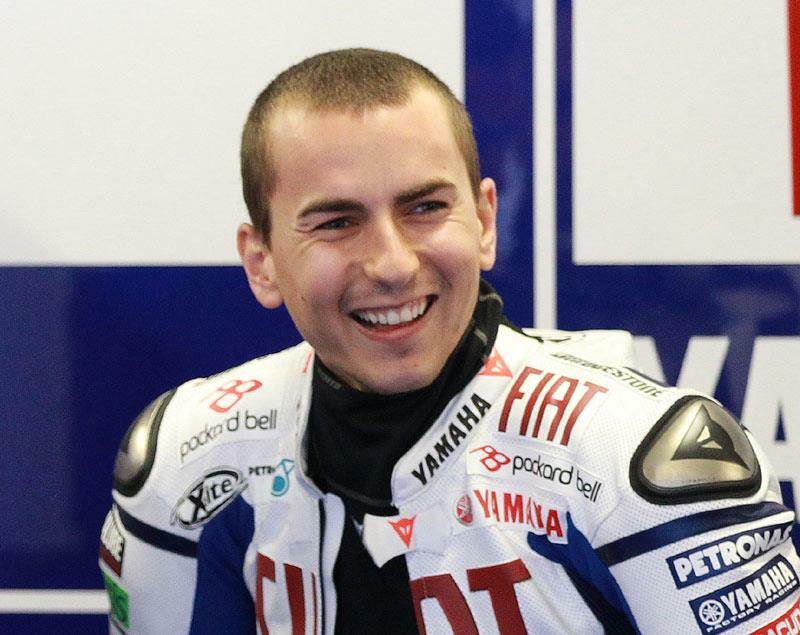 Fiat Yamaha team-mate Lorenzo, who is an overwhelming favourite for the 2010 world title having won three of the four races Rossi missed, said: “I think everybody is happy to have Valentino back. The Spaniard is well aware of the perils of riding injured after he produced heroic performances in Shanghai and Le Mans in 2008 and Laguna Seca last season. He told MCN that Rossi would need time to recover the pace he had before the crash in early June, but it wouldn’t be long before Rossi was back to his devastating best. Rossi impressed earlier this week when he tested a factory Yamaha R1 World Superbike machine in Brno and the 23-year-old added: “For sure he will not be as fast like before his crash in this moment. But I read that he went so fast in Brno with the superbike so maybe in some days he can be competitive here also." Repsol Honda rider Dani Pedrosa has also braved injury to ride less than 100 per cent fit in the past and he said he was surprised to see Rossi back so quickly. The Spaniard, who has finished second in the last two races but trails Lorenzo by a massive 52-points, said: “That’s a record time to be back. I have been injured also in the past and I know it is a super fast comeback. And Aussie Casey Stoner, who was Rossi’s chief rival in 2007 and ’08, said: “When I first heard he was testing in Misano I thought ‘wow, that’s really fast’. But you hear of people getting a collarbone plated and riding within a week, so it was always a possibility. "All of us know what injuries are like and it will be hard. But there’s no doubt he’s going to be fast when you see his times from Brno.